Using copy and paste on iPad is easy, and much like copying and pasting on a desktop computer or Mac, you can copy just about anything to the iPad clipboard and paste it just about anywhere that will accept input. Whether you want to copy and paste a text clip, a photo or picture, video, drawing, or nearly anything else does not matter, as long as you can select it, it can be copied and then pasted elsewhere into a different app. 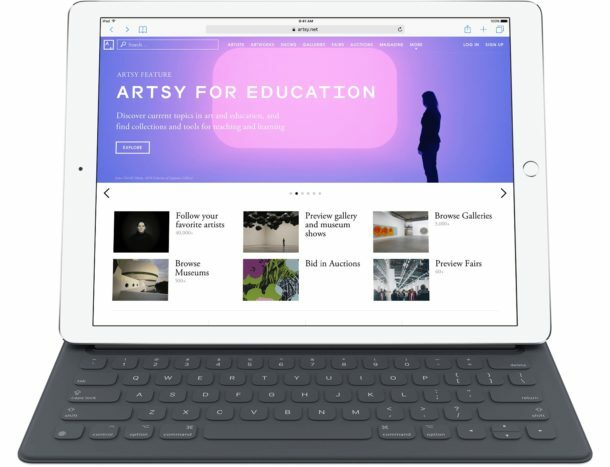 We’ll show you how to copy and paste using the iPad contextual menus found in iOS, as well as a few handy tricks unique to iPad that allow you to paste any copied data by using the onscreen keyboard, or using keystrokes to cut, copy, and paste with iPad and Smart Keyboard. 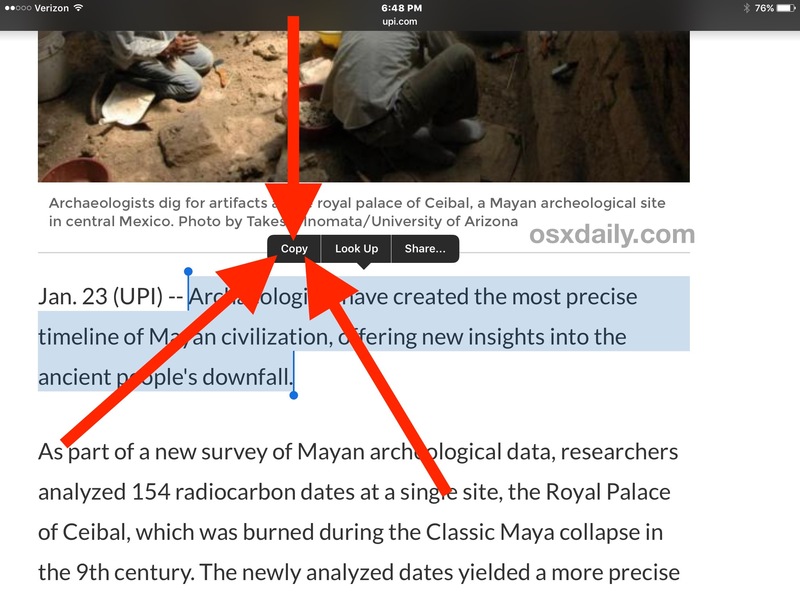 The copied item, text, picture, movie, or data will now be pasted into the new app where you chose the Paste command. In the screenshot examples above, we copied a block of text from an article in Safari and pasted it into the Notes app, but you could use the same procedure just about anywhere in iOS to copy and paste between Notes, Pages, Numbers, Garageband, Photos, Mail, Messages, and most other apps as well. How Do You Cut & Paste on iPad? Cut and paste and copy and paste on iPad are nearly identical, with a few minor but important differences. To perform a cut and paste rather than copy and paste, you simply choose “Cut” from the pop-up contextual menu item when you have selected the text as outlined above. Pasting the cut text or data is exactly the same as before. Remember, when you use “Cut” and paste you are literally cutting the data from the source and then moving it to the pasted location. Cut differs from copy in that it “cuts” it out of the original location, whereas copy simply copies it. Note that you can only “cut” a piece of text, picture, or data from a selected source that can be edited, like a dynamic document, email, or message thread. A static selected source only allows the “copy” function since it can not be modified, like a web page rendered in Safari. 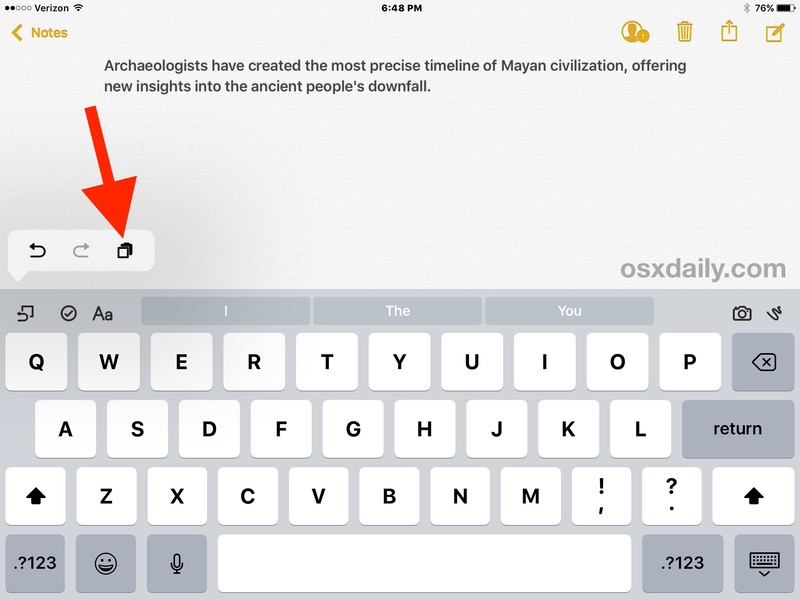 There’s another great copy, cut, and paste feature that is unique to iPad, and it utilizes the onscreen virtual keyboard. iPad users can also paste any data from the clipboard that has been copy or cut by using the keyboard paste tool, accessible by tapping on the little undo button and then choosing the square overlapping a clipboard icon. This keyboard based paste function will use the exact same clipboard data as the contextual menu version. iPad users who have the Smart Keyboard can use specific keyboard shortcuts to perform the clipboard modifying actions. 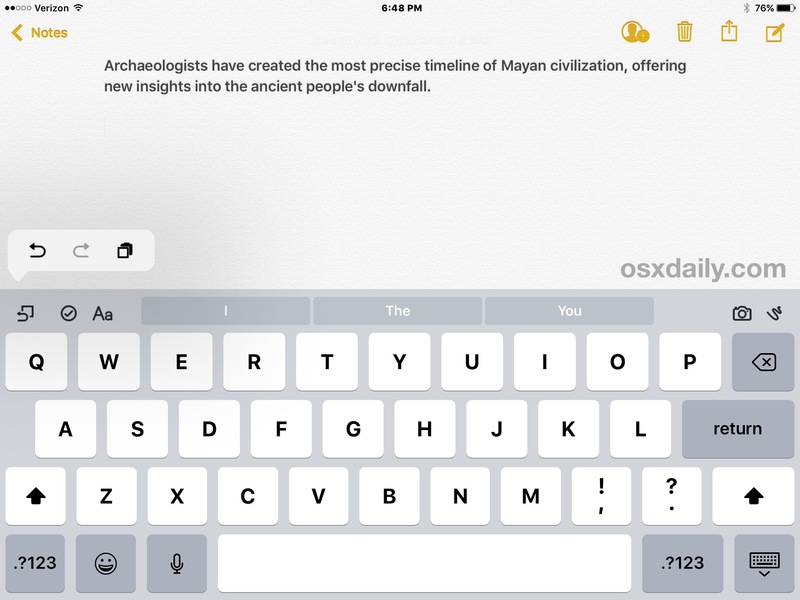 Using the keystrokes to cut, copy and paste on iPad still require you to select data first, but then you can use the Smart Keyboard to interact with the clipboard. Desktop computer users should recognize these keystrokes as being the same copy and paste keystrokes used on Mac, using the same command key functions, and they should be familiar to Windows users as well except that they use the Command key rather than Control key to interact with the clipboard. One of the more interesting features brought to modern iOS and Mac OS versions is the cross-platform Universal Clipboard feature. Using Universal Clipboard allows you to copy and paste to or from an iPad and another completely different device, whether it’s another iPad, Mac, iPhone, or iPod touch. You can learn more about using Universal Clipboard here, it’s a great feature. 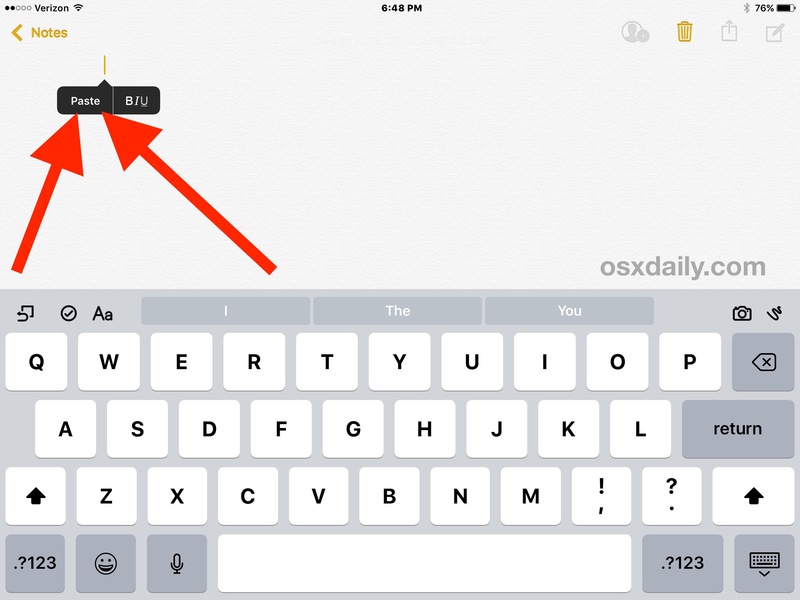 Have any other helpful copy and paste tricks for iPad users? Let us know in the comments below! I hope iPad gets a cursor some day because I think it would make selection for things like copy and paste easier. I actually think because of screen size it’s easier to copy and paste on iPhone than iPad. And it’s still easiest on Mac. 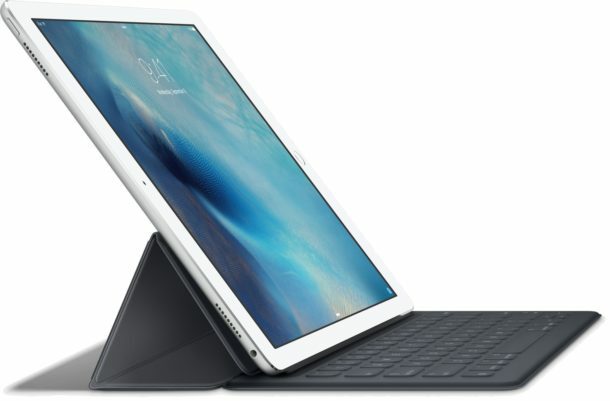 iPad users who use any Bluetooth keyboard can use specific keyboard shortcuts to perform the clipboard modifying actions. Correct, Windows use the Control key rather than the Command key for cut, copy, paste. I have never been able to get it to work PERIOD. I have relegated my IPAD to the dust bin as its clunky and half the time doesn’t work like a MAC. Your “Virtual Keyboard” instructions state “tapping on the little undo button”. Where is this button? I was wondering the same. Turns out you need to have “Shortcuts” toggled on under the “General” category in your iPad’s Settings app. Only then will it appear as illustrated in the article. Correction: I meant the “Shortcuts” toggle option in the “Keyboard” section under “General”. Copy&Paste on the iPad is dreadful and frustrating at best. And it seems to have gotten worse on the new versions of iOS. Apps and websites that I used to be able to highlight/copy/paste no longer allow me to. Be aware that the copy function on the iPad is basic at best. For example it cannot copy the full url for some images depending on their location. It will often just copy the shortcut link that is used on the particular site your viewing and of course this is no good for third party linking. It really needs updating as it’s been like this for as long as I can remember. I cannot find anyway to copy and paste since this latest update ?? All it offers is ‘find in page’ ? Copying and pasting photos on my iPad is hopeless 90% of the time. Firstly, if you click and hold on a photo the copy function usually doesn’t appear. Then if you try to use the copy function in Photos it invariably doesn’t work. When one goes to paste the photo elsewhere such as in an email, all that happens is whatever was previously copied is pasted. This is a constant complaint from numerous iPad and iPhone users on numerous Apple community sites, yet Apple does nothing to fix this glaring misfunction. The only solution is to send the photo to yourself or someone who has a desktop computer, then copy and paste it wit Windows. Sad that have to do this. Actually for photos it is best to save the photo in question to you photos file and then insert the photo, rather than trying to copy it. You press and hold on the photo till to get the “save to camera roll” or whatever, then you have it on your iPad and can use the attach or insert in your other apps. How can I copy and paste without losing the original formatting? I can’t do it either with my bluetooth keyboard or the virtual one. Even formatting as simple as underlined or bold text from the Notes app to an email draft gets lost in translation. It seems like a really primitive oversight compared to all the other sophisticated features (that I have zero use for) of my brand new ipad.